Mr Biya, at 85 Africa's oldest head of state, was re-elected by a landslide, according to official results. 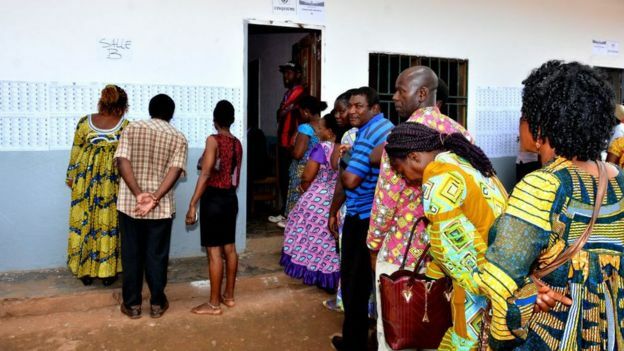 Mr Biya has not yet officially been declared the winner but results have been announced from all of the country's 10 regions - he gained 75% of the vote in seven regions and only lost one. Among those calling for a fresh vote were President Biya's two main challengers - Joshua Osih of the main opposition SDF/FSD and Maurice Kamto of the MRC/CRM.